As teachers know, teaching styles and personalities play a huge role in how calm or turbulent the atmosphere of the classroom is throughout the year. It’s easy to spot a low-key teacher from the moment you walk into her classroom, but it’s equally as easy to spot a high-energy teacher. 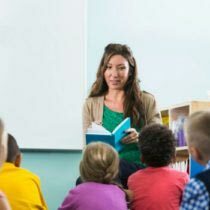 While it’s great to have both styles, when those two personalities come together as co-teachers, it can either work very well or it can make the school year a challenge. In fact, even teachers with the same type of personality can have trouble working together. If you’re wondering how to work with a co-teacher and make it an experience that’s positive for both of you and your students, here are some tips that just might help. Differing expectations about what the roles are in the classroom is one of the biggest sources of tension. Sit down with your co-teacher and create a clear set of expectations and goals. Put in writing who is responsible for different tasks, when those tasks need to be completed, and what responsibilities you both share. This is extremely important, because not all teachers work in the same way. While you may have a relaxed teaching style and love spur of the moment lessons, your co-teacher may be very structured and need a clear outline of everything that will be taught during the day. Neither teaching style is the “right way”, but both can work together if there is clear communication between the two of you. It is also important to discuss classroom management expectations. If your co-teacher is teaching a science lesson, find out what she needs from you during that time. When you are teaching reading in small-groups, let her know how she can help you. Do not be afraid to be very clear about what you need from each other throughout the day. Whether you are a fan of your co-teacher’s planning skills or not, when she is teaching and you are in the opposite role, support her in front of the students. Much like in parenting, when you present a united front, the students know what they can expect. There will be no “she said I could” whines that come your way, because students will know that whatever one of you says, the other supports. Your students should never know that there is tension between the two of you. Any problems that you have must be dealt with before or after students arrive. When you support your co-teacher in front of students, you may actually find that the relationship between the two of you becomes less tense. As with all relationships, when you feel supported you become much more confident and and tension and anxiety wane. Your administrator will most likely tell you to talk with your co-teacher before going to him. This may be ideal, but in very difficult situations, it is important to make your administrator aware of the problems right away. If your co-teacher is blatantly unprepared day after day, or she has a negative attitude toward the class and teaching, you must approach the school’s administration before it gets out of control. Be prepared to talk openly and honestly about the issues you have been having, and expect to hear her side of the story too. In extreme cases, you may find that one of you is reassigned to a different class or even a different school. While this is usually not the case, be prepared should it come up. Instead of worrying about your co-teacher’s habits, try to remember that she is there to help the students too. Not everyone teaches the same way as you do, and that is okay. A co-teacher can bring variety and expertise that you may not have to the classroom. Before the situation gets out of control, put a smile on your face, muster your courage and say, “Let’s talk about how we can work together to best help our class.” You can do it! How do you get along with your co-teacher? Are there any tricks that you have learned over the years that makes it easier to set up guidelines and go over expectations? Love the expertise of many…to really get a handle on a child and help him/her succeed!